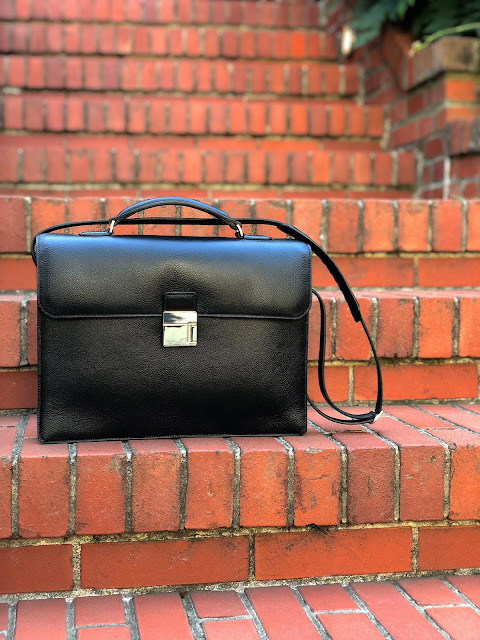 In San Francisco, master leather artisan Béatrice Amblard, former Hermès leather artisan with her own elegant handbag collections, now teaches the fine art of luxury leathergoods in private classes. 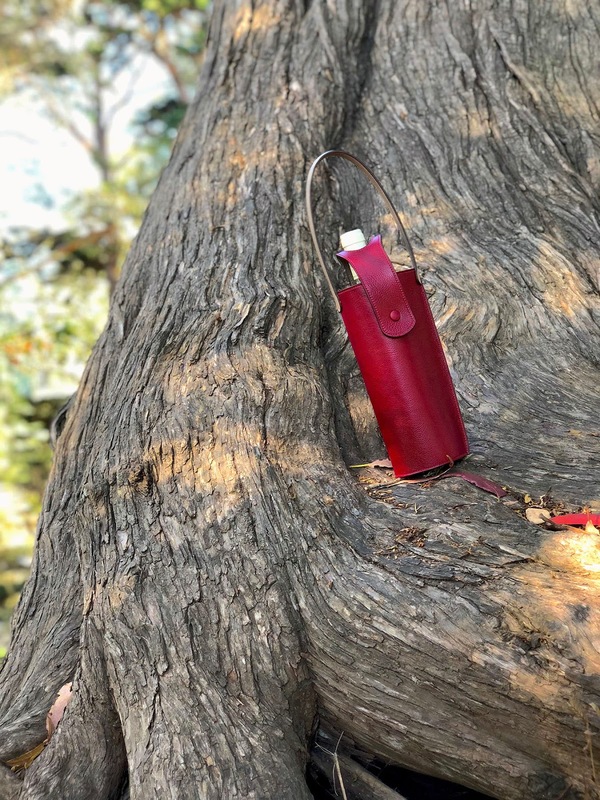 Béatrice has launched Amblard Leather Atelier to teach the ways of fine leather working using centuries-old tools and techniques that are used today to fashion elegant handbags and accessories. The school has a waiting list, and Béatrice is working to get the school accreditation. Once that happens (before the end of the year) ALA will officially become the only fine luxury leathergoods and leather school in the US. 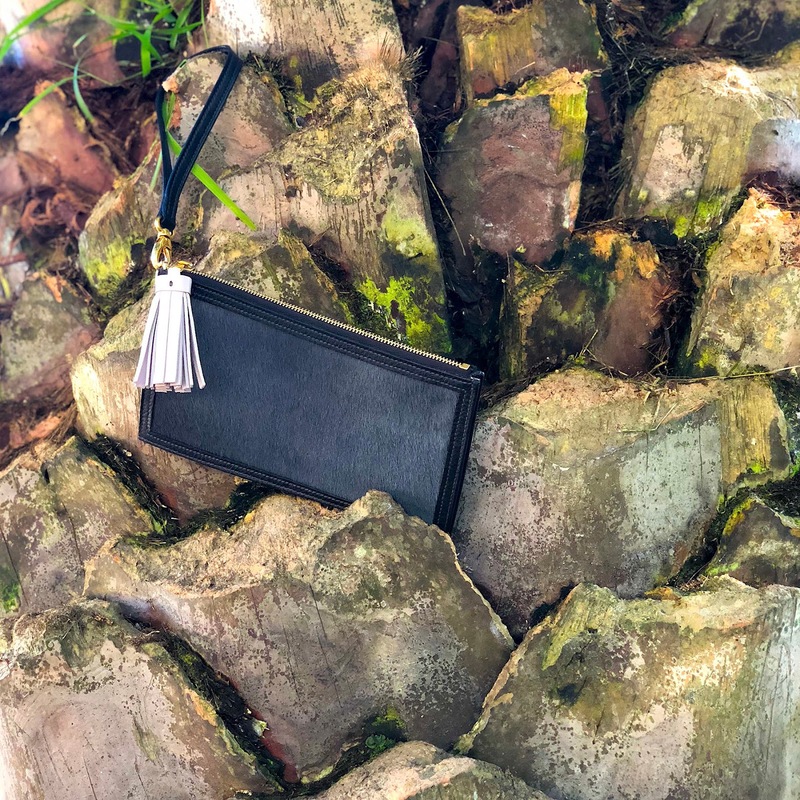 “The demand to learn about fine luxurious leather working is amazing me and me and my team,” said Béatrice. 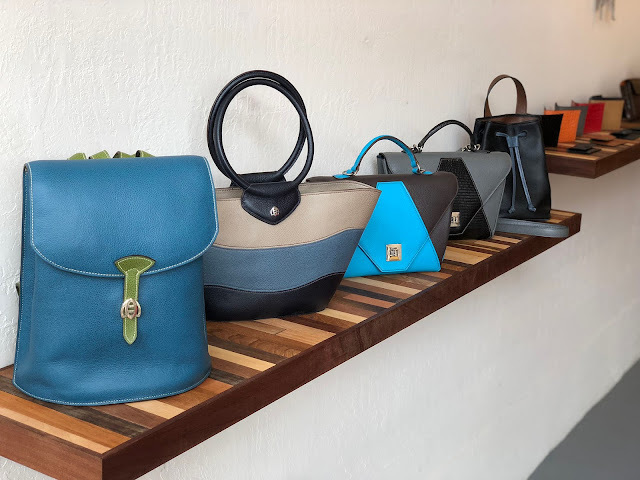 Companies send their designers to Béatrice to learn and refine skills, and to learn traditional fine techniques, tools, leatherwork, finishing, leather evaluation, sourcing, and style and design. Beatrice creates superluxe handbags and small leathergoods, and with her atelier she is keeping alive the fading art of leather craftsmanship. The art and craft of design is an aspect I’ve emphasized in my writing since I started as a journalist and editor. I admire artisans and the crafts they perfect and advance. 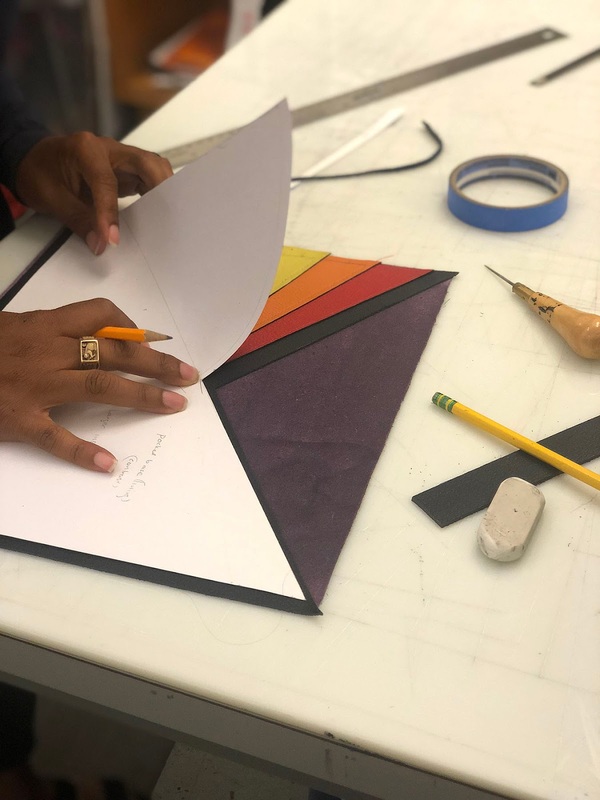 Interior design and fashion are both enhanced by skilled and devoted craftspeople—who have successful careers as decorative artists, skilled embroiderers, cabinetmakers, faux finish artists, curtain makers, painters, weavers, sculptors, and many more specialties. Béatrice Amblard works very much in that tradition, crafting by hand and making beautiful things—for an appreciative and enthusiastic group of clients who understand Hermès-level luxury goods. Béatrice was born in France and enrolled in the prestigious Chamber of Commerce and Industry of Paris when she was 16. Immediately after graduation, she was hired by Hermès in Paris as an apprentice leather artisan. In 1987, Hermès sent Béatrice to San Francisco as an “Ambassador” to their newly opened San Francisco boutique. After designing and working on custom leather goods for 14 years at Hermès, Béatrice launched her own line, April in Paris in 2000. She is the only Hermès artisan in the United States designing under her own label with her own boutique. 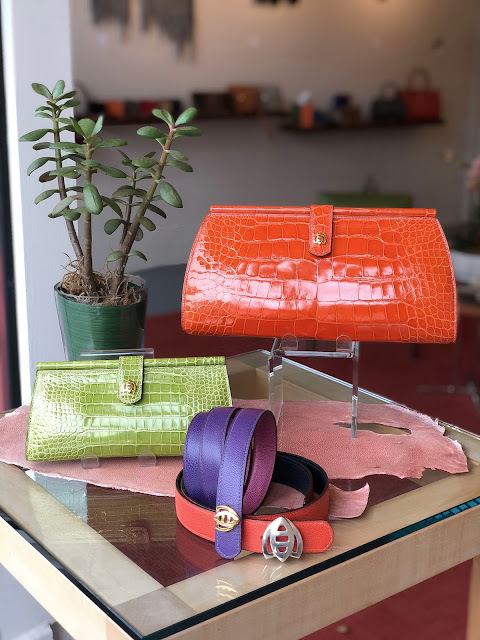 April in Paris is the boutique and workshop of master leather artisan Béatrice Amblard. The sun-drenched location on colorful Clement Street in the Richmond district is admired by devotees for extraordinary custom accessories. All items are handcrafted using centuries-old traditional methods, and every item is one-of-a-kind. French-born Amblard has more than 30 years of experience in her uncommon trade. 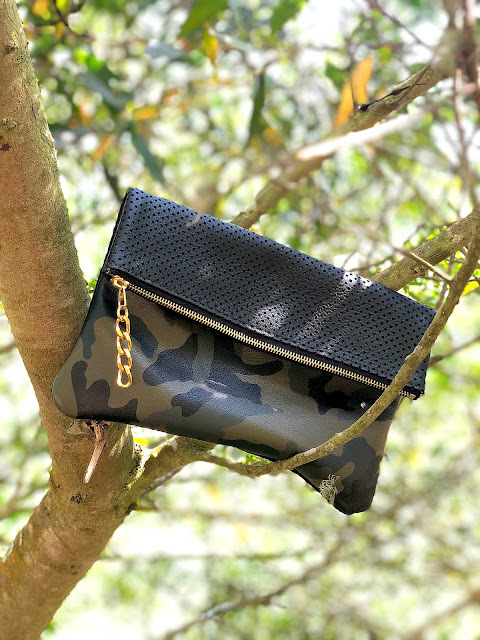 After working on the famous Kelly and Constance bags and designing custom leather goods for fourteen years, Béatrice launched her own line, April in Paris. 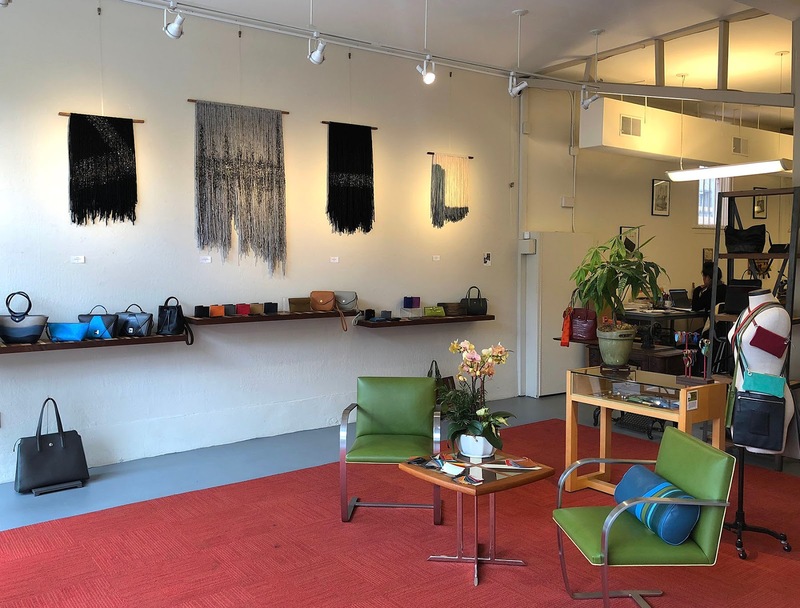 She quickly built up a loyal following and in 2000, Amblard expanded her business and opened a boutique and workshop on Clement Street. 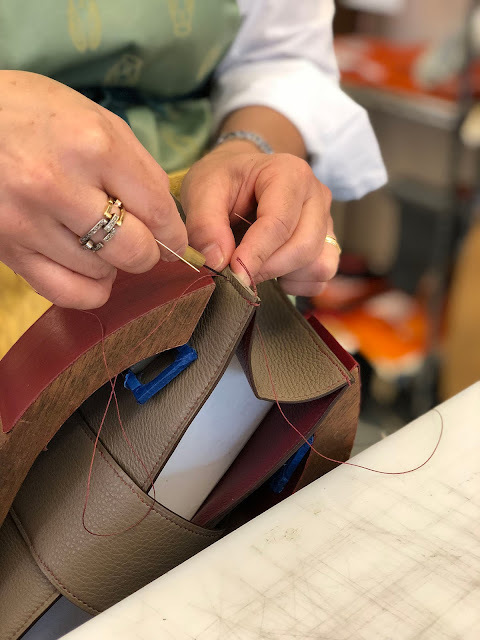 Béatrice Amblard is best known for her custom handbags, some finished with the classic saddle stitch, in the same tradition that has been done for over 200 years. All of her bags are marked with her logo, an 18-karat gold or sterling silver bee. The bee represents the shortened version of her name, Béatrice, and it is what everyone calls her. In addition to handbags, Amblard designs an array of accessories including: briefcases, wallets, watchstraps, belts, coin purses, checkbook holders, and home accessories such as custom-crafted watch cases even responsibly farmed crocodile jewelry boxes. She has also designed larger items such as furniture, car and plane interiors. She can create virtually anything a customer desires. Clients can personally plan with Amblard to design their creations. 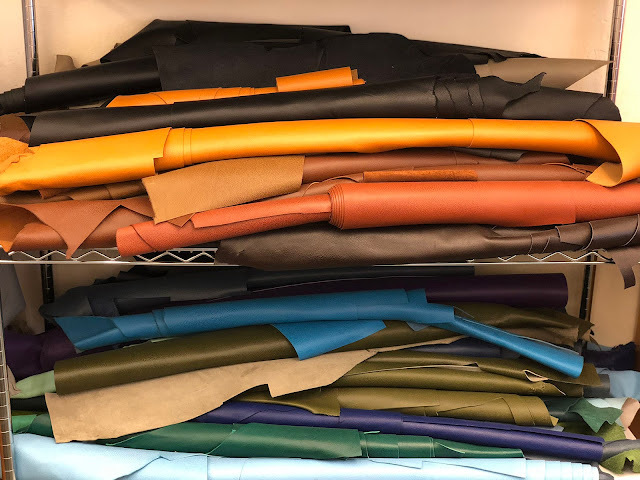 Clients select from a large inventory of leathers that are kept on the premises. 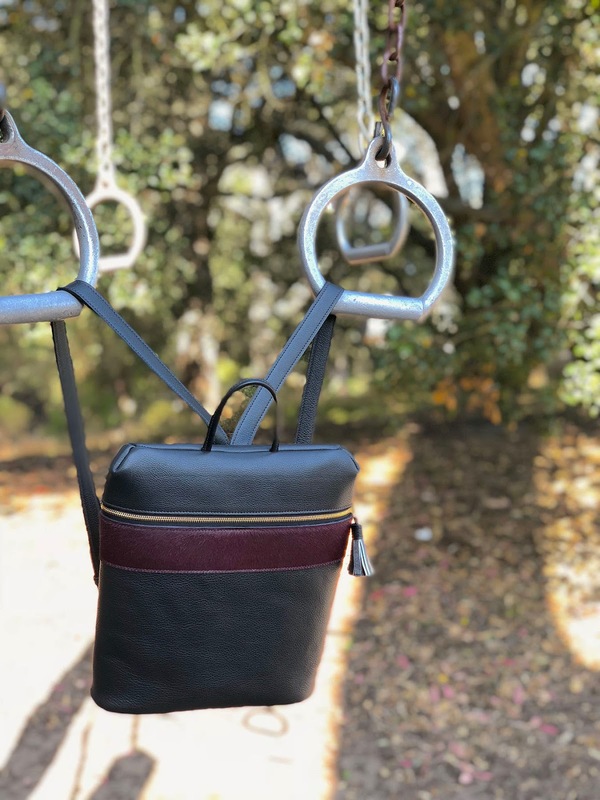 Amblard works primarily with French tanneries and uses only the finest leathers. Some students learn to work with shagreen, crocodile, and other exotic skins. Their instructor also has many insider French sources for fittings, hardware, embellishments. 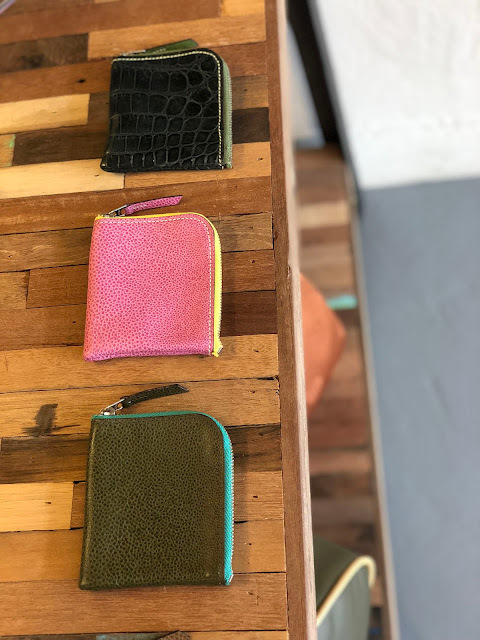 She uses a variety of leathers including calf, alligator, ostrich, lizard, and stingray. Custom colors may be ordered at the request of the client. 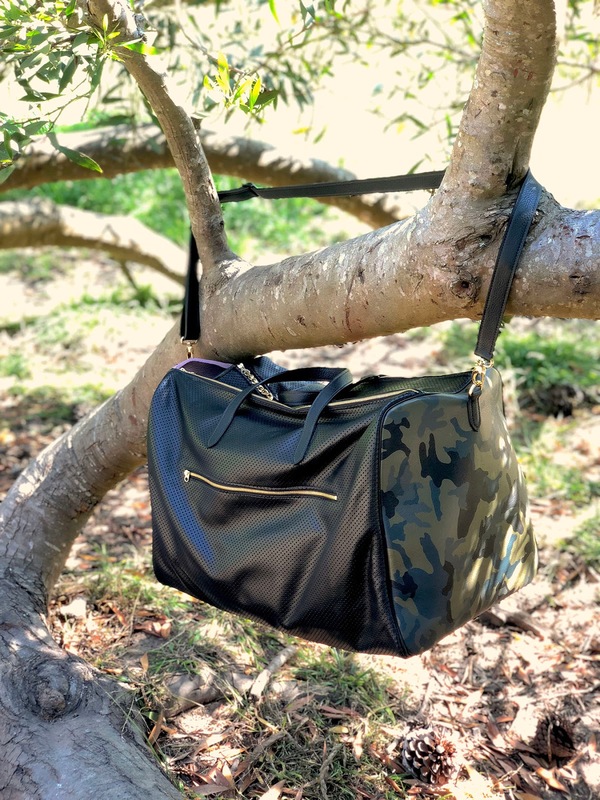 Currently, there is a five-month wait for a custom handbag because Amblard’s work has become so coveted. There are plenty of handmade bags and accessories for sale at the boutique. Amélie Amblard joined April in Paris in June 2014 after graduating St. Lawrence University with a BA in Fine Art. 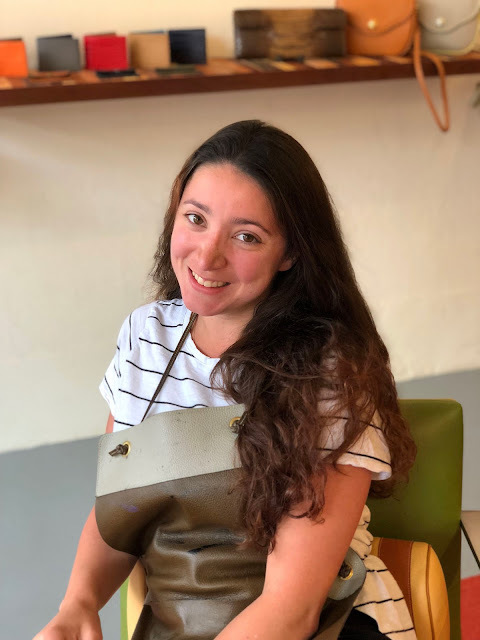 Amélie completed Amblard Leather Atelier’s 1-year leathergoods program in 2015, then trained with her mother for one year before working as her design assistant. 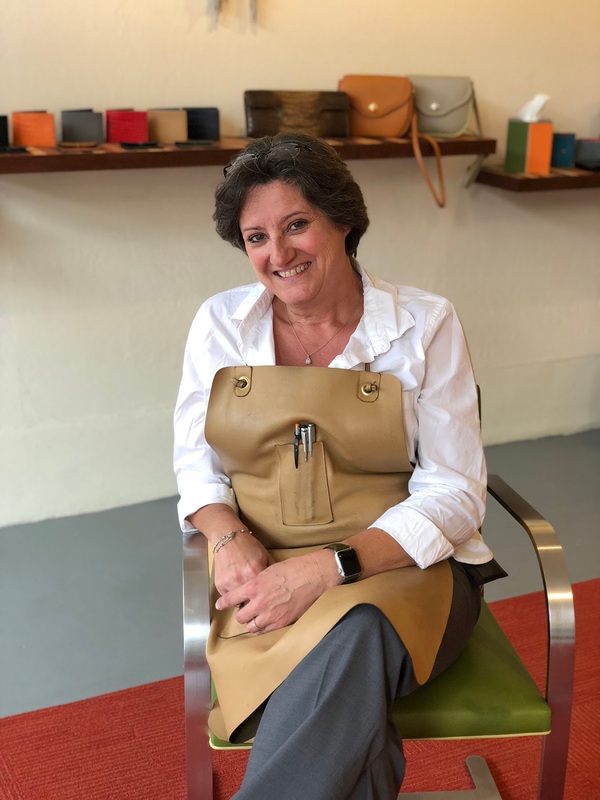 Amélie now assists her mother with students at Amblard Leather Atelier and is production manager for April in Paris to attend to all clients and special orders. 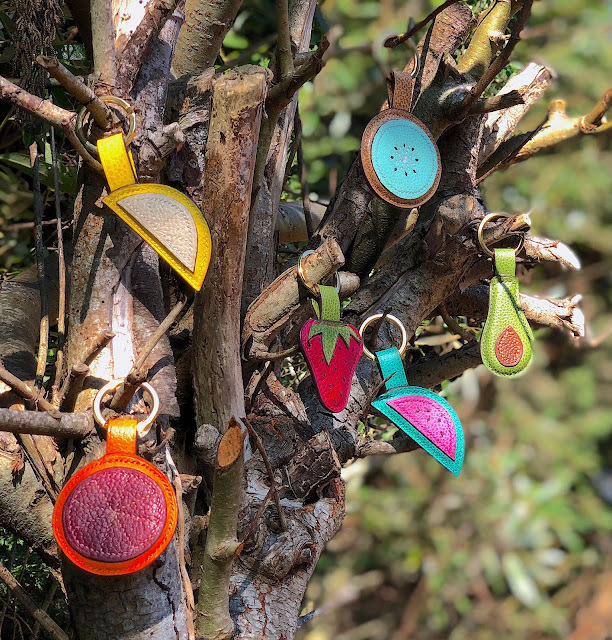 Amélie is also now designing her own leathergoods collections—with her own style and distinctive materials. 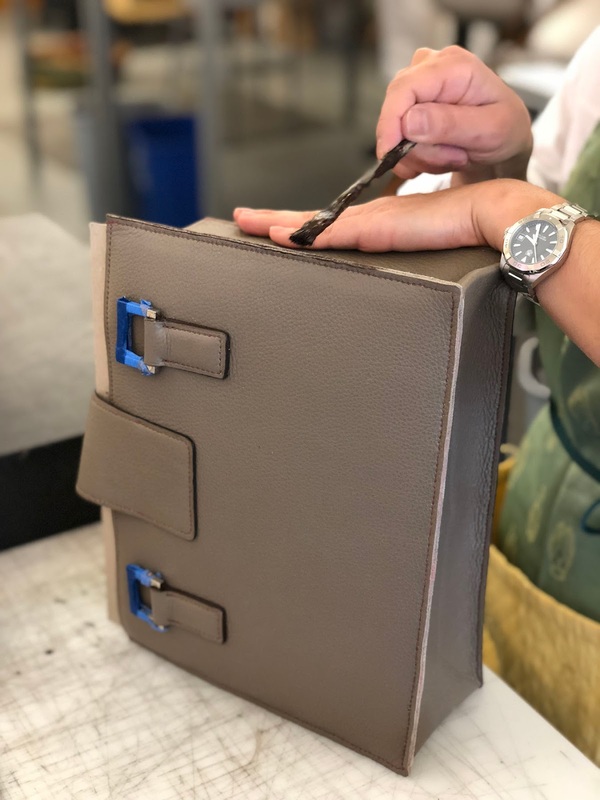 Amblard Leather Atelier is the only studio that teaches in-depth the centuries-old craft of fine luxury leather working. 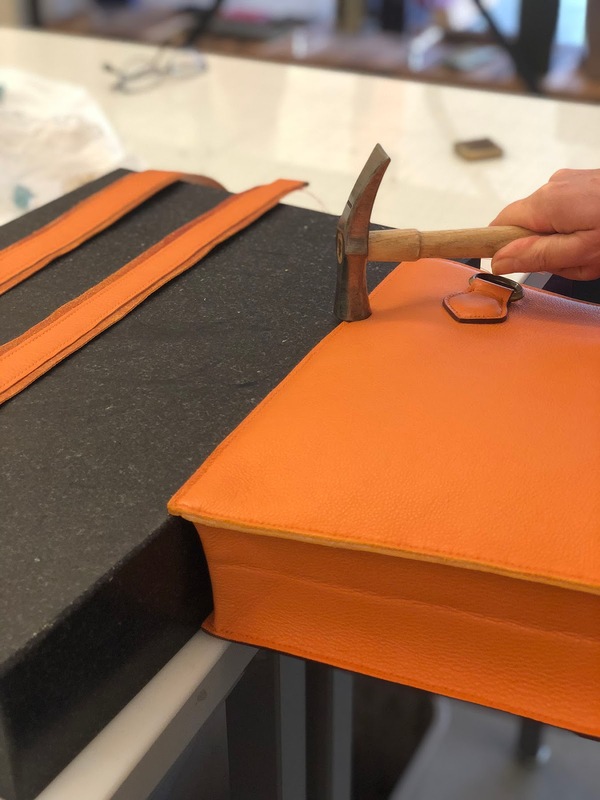 Our program has been developed by a Hermès-trained master artisan and teaches the basic understanding of leather working using traditional hand tools. 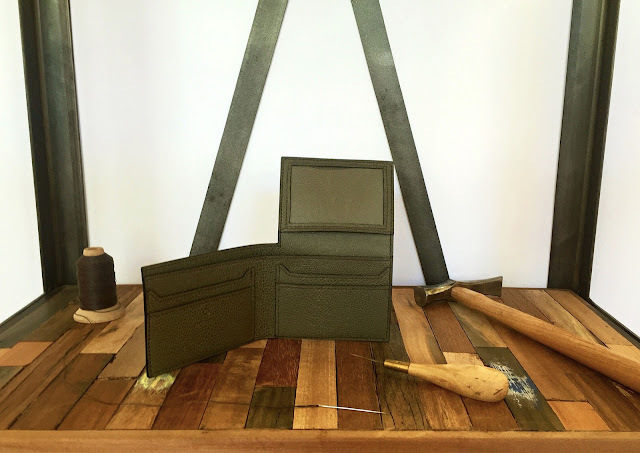 There is no experience necessary and we provide everything (tools & leathers) needed to complete all projects. Amblard Leather Atelier offers half-day and full-day workshops, evening classes, and 12-week sessions. All classes are limited to 10 students to ensure a quality work environment. 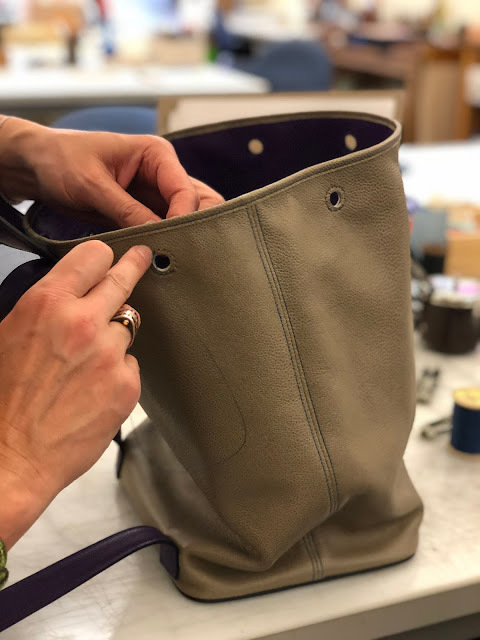 Half-day and full-day workshops are designed to learn the basics of leather working and students leave the workshop with a completed piece by the end of the day. Tuesday evening classes teach beginner level skills with 6 different progressive projects. 12-week sessions teach beginner to master level fine leather working projects. Half-Day and Full-Day workshops are scheduled upon availability in our session class. Please email us with dates desired to check availability. Evening classes are every Tuesday Evening from 6–8pm.